FILE - A woman walks past the head office of Angola's state oil company Sonangol in the capital Luanda, Angola, Aug. 26, 2012. 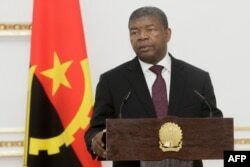 Angolan President Joao Lourenco has made headline-grabbing changes in the nation’s vital oil sector since taking power in 2017. Economists say these changes should improve Angola's economy, and may even provide a model for other resource-rich African nations. 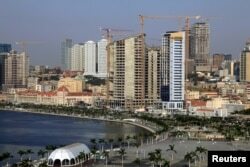 But Lourenco’s critics say the reforms are cosmetic and haven’t brought benefits to ordinary Angolans. 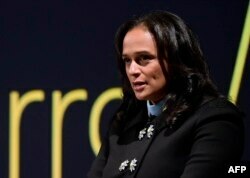 FILE - Angolan businesswoman Isabel dos Santos delivers a speech during the start of the new EFACEC Portuguese corporation's electric mobility industrial unit on Feb. 5, 2018 in Maia. 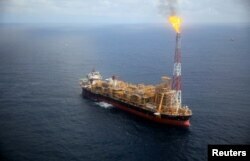 FILE - Kaombo Norte floating oil platform is seen from a helicopter off the coast of Angola, Nov. 8, 2018. FILE - A general view Luanda, Angola's capital is seen in this picture taken May 15, 2015.